Zagame’s House will open in May 2019 and by found on Lygon Street, Carlton. Multi-generational hospitality industry family brand Zagame’s has announced it will expand its pub and gaming property portfolio to now include boutique hotels. 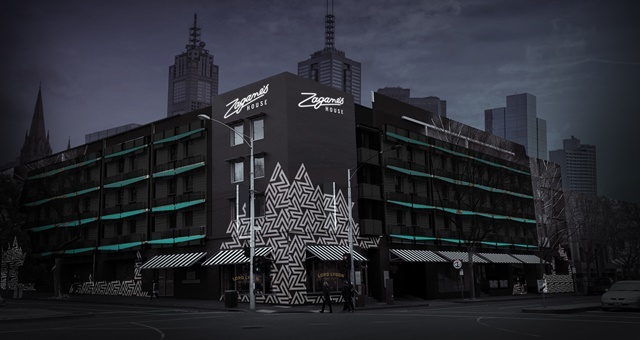 Set to open in May, the company’s flagship location – Zagame’s House – has completed an extensive $18 million renovation to be transformed into a 97-room hotel in Lygon Street, Carlton, in the Melbourne CBD. Each room will be equipped with king beds, European pillows and locally-produced linens. Acoustically panelled walls will screen out noise along the trendy thoroughfare. 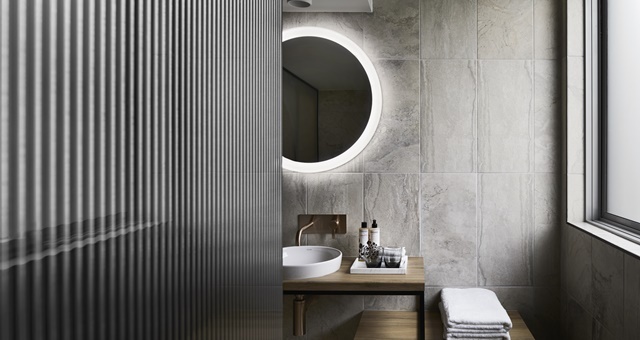 Bathrooms will be dark in appearance with black matte hardware with circular mirrors with multiple illumination settings. Guests will have access to Cowshed bathroom amenities, locally roasted coffee and cocktail ingredients in mini-bars along with a 24-hour room service menu. Public facilities at the new property will include a wine shop, coffee hours, bar and kitchen. An event space for meeting planners will offer bespoke menus and AV technology suited for a variety of occasions, from weddings to corporate events. Sustainability has been high on the designer’s agenda in renovation the hotel, with E water, composting systems and a commitment to support local and regional producers to source its food and beverage options. Design has been managed by architect Robert Ficarra, Interlandi Mantesso Architects and a Linda Whitfield-led interior design team, with furnishings selected from local boutiques and galleries, with the whole project overseen personally by Victor and Robert, the Zagame brothers themselves. The Zagame’s name has been in business in Victoria for 52 years and currently operates five venues across the state in Berwick, Caulfield, Boronia, Reservoir and Ballarat. In a joint statement, brothers Victor and Robert Zagame said no expense had been spared to transform Zagame’s House into a luxury boutique accommodation offering in Melbourne.